Caring proudly presents The Caring Home Care Consumer Directed Personal Assistance Program (CDPAP) ! With CDPAP, Home care consumers can MANAGE their home care. Hires a relative, friend or other individual as caregiver. Manages Payroll and Tax Withholdings, Disability, Workers’ Compensation, Health Insurance, Unemployment Insurance and more. What is CARING HOME CARE “CDPAP”? CARING HOME CARE “CDPAP” is a Consumer Directed Personal Assistance Program that enables you as an eligible home care consumer to designate a relative, friend or other individual as your caregiver. You train and supervise your designated caregiver, who is then paid by Caring Home Care for the homecare services provided. Self- directing or have an advocate willing to make decisions about the services being provided. Eligible for long-term home care services. Independently or with the assistance of an advocate, recruit, interview, train, schedule, supervise and dismiss the Personal Assistant(s) of your choice. Hire as many Personal Assistants as may be deemed necessary to meet your needs, and as authorized by the Service Provider. How does Caring CDPAP work? After determining your eligibility for CDPAP and how many hours of services are needed, you will find your personal assistant. The assistant can be almost anyone you want — a family member, a friend, neighbor, or former aide. A parent, spouse or designated representative cannot be a PA. It is important that you are comfortable with the individuals and that they can be trained to do the work necessary. Process the payroll for each Personal Assistant. Payroll will be processed on a weekly basis provided that Caring has received the weekly signed time sheets. Administer payroll and tax withholdings required by State and Federal law, Disability, Workers’ Compensation, Health Insurance, Unemployment Insurance and more. Maintain a confidential personnel file on all hired Personal Assistants. Caring does not manage anything that would be related to direct care. Caring takes care of the financial side, allowing you the freedom to direct care without being overburdened by paperwork. Make sure that there is alternate coverage if your assistant cannot make it to work. Track your assistant’s time worked and sign off on time sheets and other important documents. 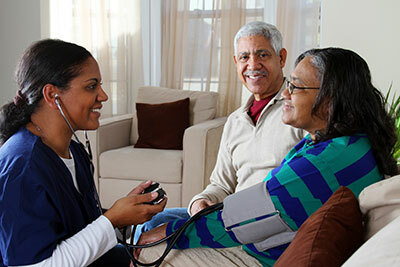 Schedule visits with a registered nurse once every six (6) months for a nursing assessment.